The present-day world witnesses the digital revolution in everything and the healthcare industry is no exception. The adoption of modern technologies in medicine results in safer, more productive medical services and healthier, longer lives. 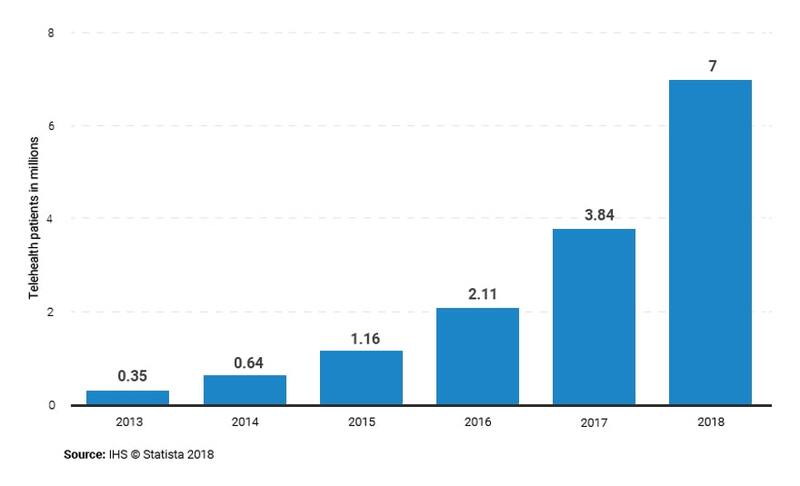 The upcoming huge shift in the industry is inevitable: by 2020, the digital health market is predicted to reach $2016 billion. Meanwhile, with respect to current trends, there are 10 digital technologies transforming healthcare in 2019. In this post we are disclosing first 5 trends, the rest are coming in the next one. With telemedicine, in-person visits to doctors are no longer a necessity. 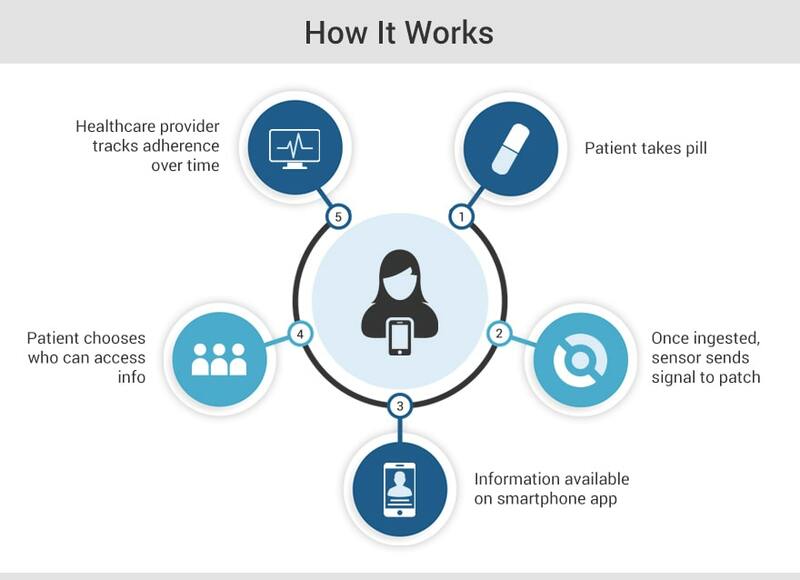 The technology that uses electronic devices and software allows conducting video and audio appointments on smartphones, tablets, notebooks and other internet-connected devices. It doesn’t matter if you are on vacation, can’t leave work or not sure if you need to go to hospital — telemedicine ensures your remote access to different types of medical services, saving your time and even money. Nowadays telemedicine provides such services as telepsychiatry, teledermatology, teleophthalmology, teleoncology, teleobsterics, and telerehabilitation. To put it simply, it offers more convenient care for patients and increased access to specialists. Thus, the number of telehealth patients increases rapidly. Artificial Intelligence in healthcare has a number of surpassing benefits: it ensures fast diagnosing and speeds up reading test results (150 times faster than a human), helps to determine the most effective pharmaceutical compositions, prevents identity theft — all enabling a better customer experience and substantially reducing the risk of medical mistakes. 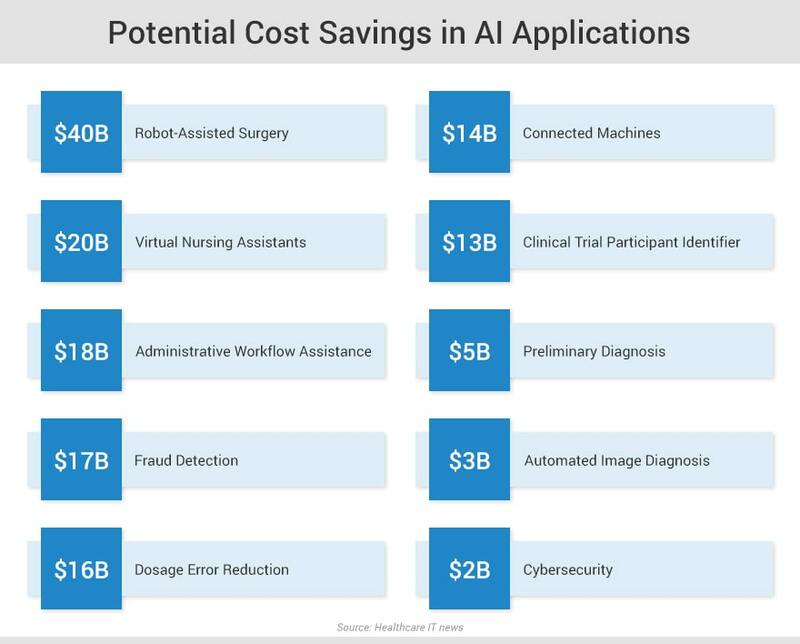 Moreover, the use of AI in healthcare is associated with significant cost savings, the majority of them are listed below. Implementation of augmented and virtual reality solutions for healthcare was considered as a sci-fi just a decade ago. Nobody knew what benefits it might bring in the nearest future. Today, AR/VR is used not only for training medical students and practicing surgeries but also in therapy, treatment of psychological traumas, phobias, opioid addiction, phantom limb pain, as well as rehabilitation and wound care. Possibilities of AR/VR applications in healthcare continue to evolve, offering a serious breakthrough in the industry. Not so long ago, a combination of IoT development with telemedicine and telehealth technologies resulted in the emergence of IoMT. Today, this approach helps healthcare specialists in tracking various medical measurements of their patients, such as blood pressure, body temperature, blood sugar levels, ECG and so on. The adoption of IoMT significantly improved patient experience and profitability, so according to the report conducted by Frost & Sullivan, the use of IoMT systems for healthcare activities in 2017 reached 60 %. In the same year, the FDA approved the first smart pill which offers a number of benefits for more effective treatment. Below is the scheme of how it works. As the availability and integrity of information in medicine are critical, the implementation of blockchain technology in the healthcare industry is actively discussed. It will ensure quick and secure access to patient’s records for everyone who is granted access. One day, the discussed innovative healthcare technologies will totally transform the sector and will remain as its basis. At SCAND, we are keeping an eye on the current situation and pleased to make our contribution to the digital revolution, developing our very own products and delivering solutions for our clients. For the healthcare sector specifically, we developed two medical apps for physicians that provide them with access to clinical pictures of their patients. Feel free to contact us with any questions and don’t miss the upcoming blog-post disclosing the rest 5 digital healthcare trends!